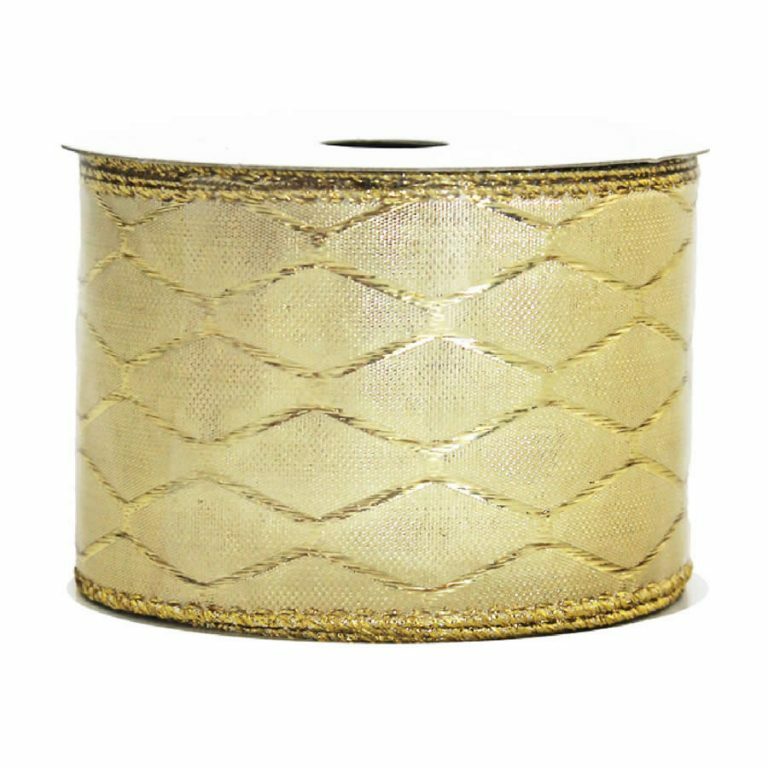 You will find this Pine Cone Ivory Woven Ribbon to be a priceless accent that you use time and time again. 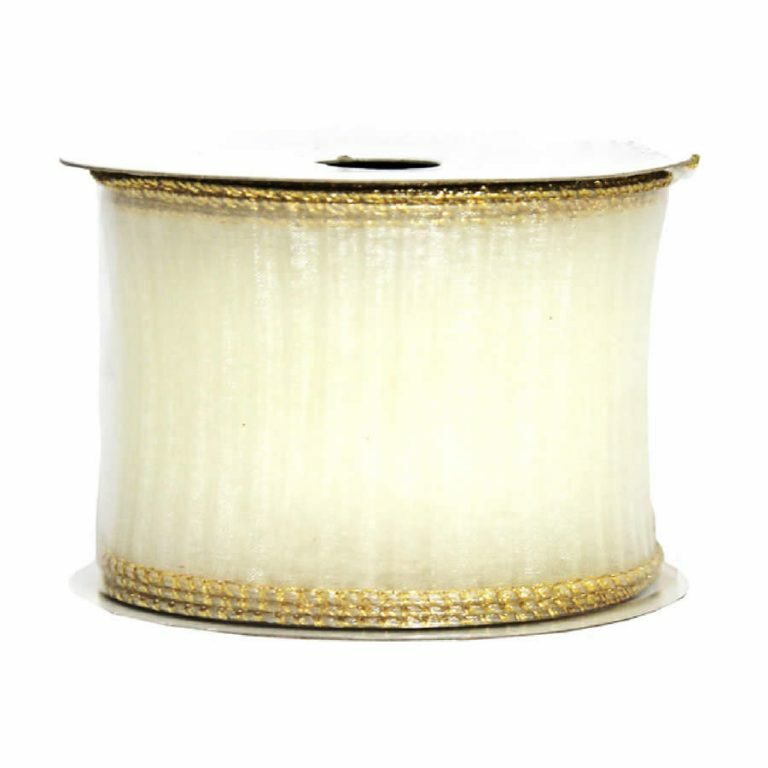 Try using this for the most beautiful, lush bows and trims that you have ever created. 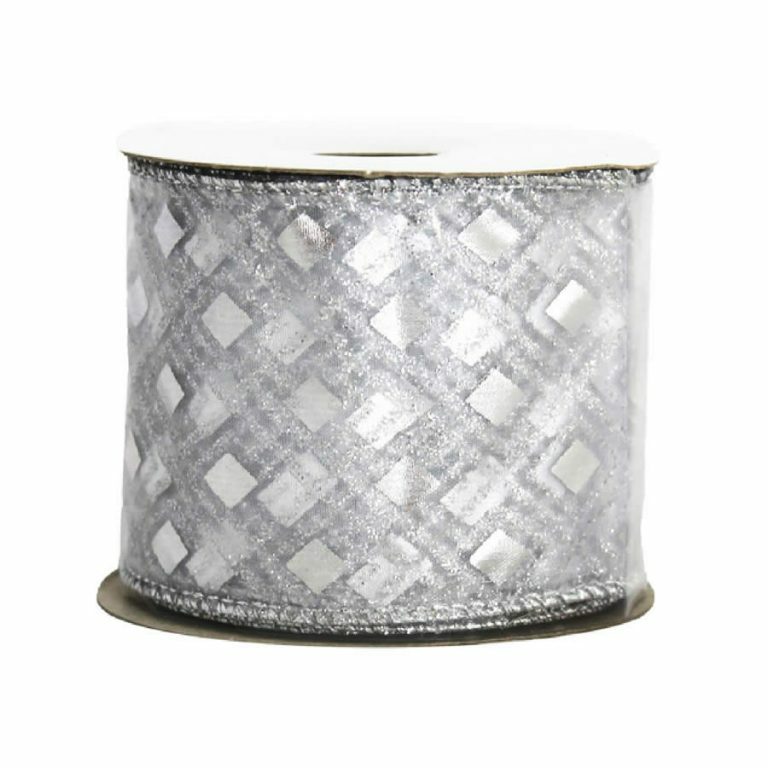 The ample 7cm width of each 9-metre length of quality woven ribbon make it ideal for crafts and projects that you want to look professional and unique. 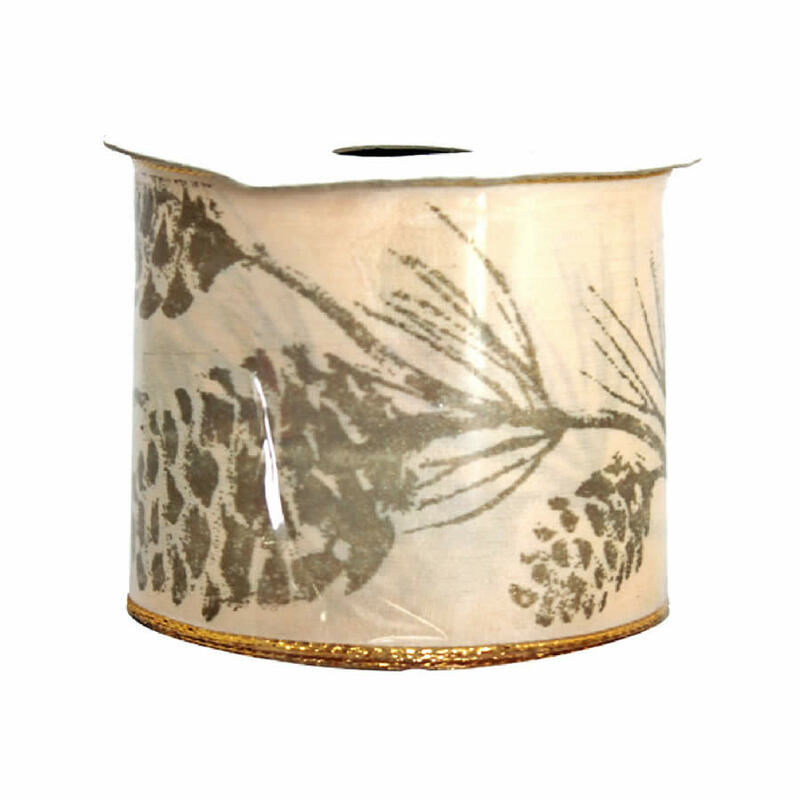 Each spool of ribbon feature a neutral, earthy background with delicate images of pine cones across each length. 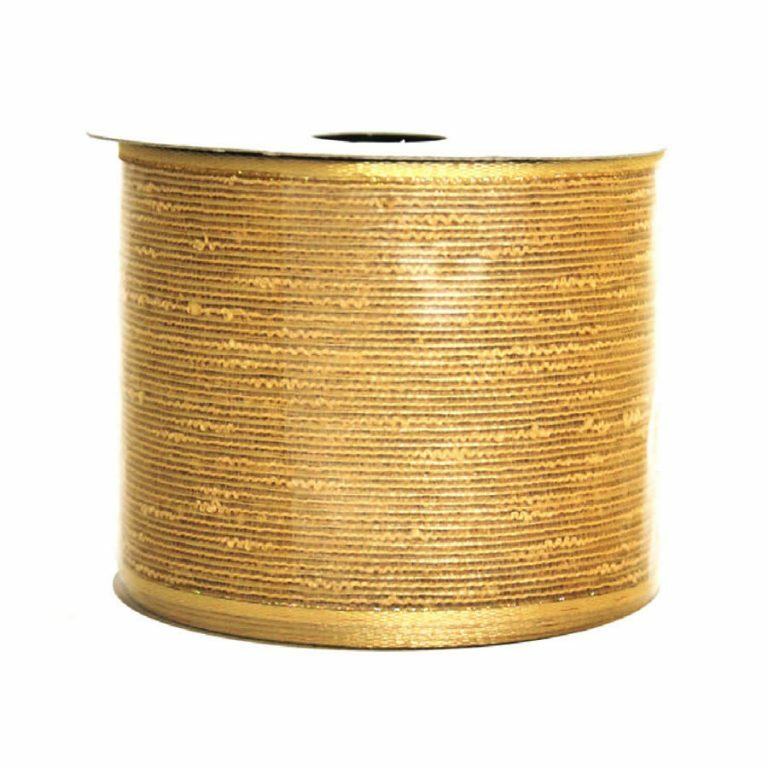 The petite gold braid trim actually covers a wire edge, which helps to keep your creations durable and strong after you make them. This would also be a great item to have on hand during the autumn and fall season- it is the perfect theme to be ideal for harvest parties, fall decor, and autumnal celebrations. Try creating a bow from this beautiful pine cone ribbon and affixing it to a simple grapevine wreath. This could be a suitable accent that goes from fall to winter seamlessly, fitting in well during both times of the year.